Originally designed for the 1965 Shelby American Le Mans team, this fully authentic re-creation is available exclusively from Michael Holmes of Racing Division LA. Patterned after Allen Grant's personal jacket, our jacket is manufactured in Los Angeles to exact detail, with a limited initial production run of only 200 jackets. 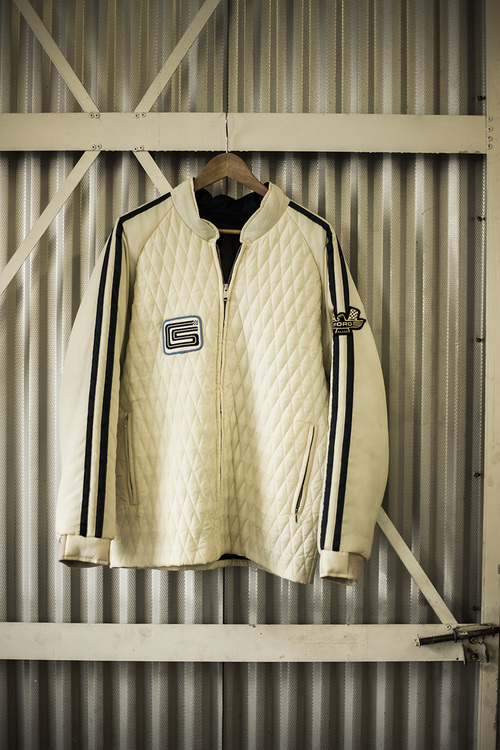 True to the original in every detail, our jacket features a Wimbledon white quilted nylon outer, with a guardsman blue liner and arm strips. Per the original, the jacket also includes a nylon hood that hides beneath the collar. Patches are made to original specifications on 100% cotton twill.